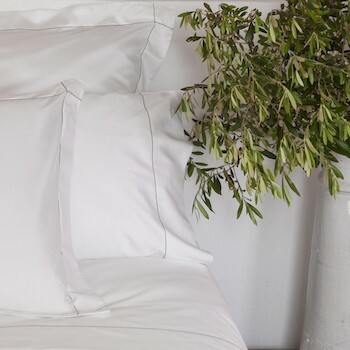 This design is the ultimate in discreet luxe, it drapes beautifully, has an elegant sheen and softens with every wash only improving with age. 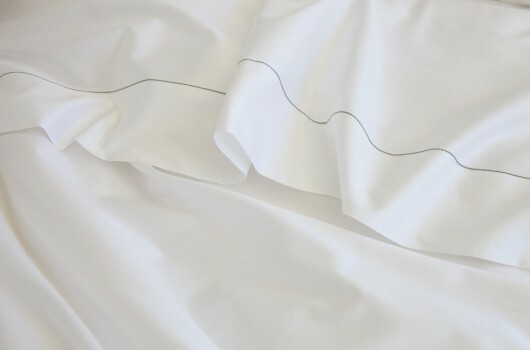 Coming in white 600 thread count 100% Egyptain cotton sateen, the super king size flat sheet is trimmed with a timeless stone colour chain stitch detailing at the head adding that subtle touch of elegance. You will feel like you are in a boutique hotel the moment you slip under the covers. 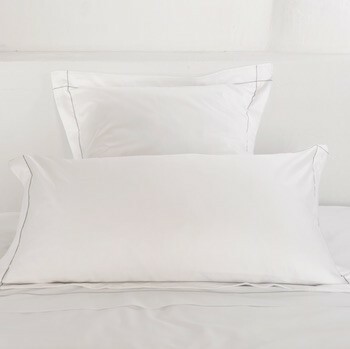 Making the perfect gift our super king flat sheet comes beautifully wrapped in our designer DEIA Living gift boxes. To complete with look add the matching quilt cover or selection of tailored pillowcases to capture the full Medierranean style and easy living feel.